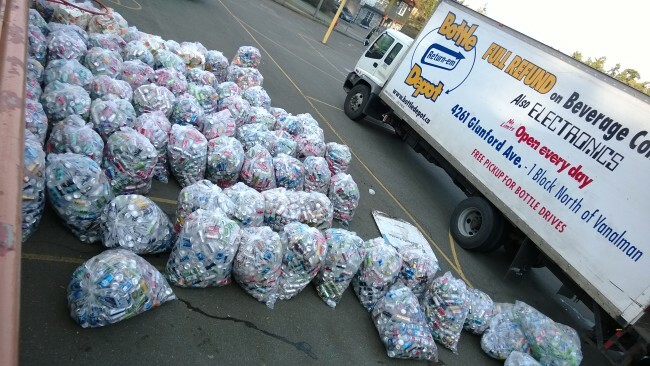 If you would like to donate your returnables to our school charity account, you may do so at any of the three bottle depots at 4261 Glanford Ave, 655 Queens Ave and 3961 Quadra St.
You must advise the cashier at the beginning of the transaction that you would like to donate the bottles onto the View Royal Elementary account. Held three times during the school year, bottle drives are a great source of revenues for the PAC. From 10:00am until 2:00pm on Saturdays, parents are needed to help sort the donations.